Here at International Business Training Association (IBTA), we support and salute all hardworking professionals who are eager to improve their work and advance their skills. Our corporate training courses are designed for dedicated business professionals around the world who plan to engage in business-skills education to benefit their career and trade. We offer courses and certifications suitable for new professionals as well as seasoned executives. The International Business Training Association (IBTA) believes that people involved in business processes need the appropriate skills in order for any business to be successful. Those essential business skills are usually a result of training to optimize employee performance. Contact IBTA about partnering to receive or provide training that represents the best-practices for the essential skills in business. Take your employees' business skills to the next level, and watch your business benefit and grow exponentially. Whether your desire is to improve your business’ performance, reputation, or revenue, CBP Training for staff is the answer. The CBP Professional credential is for professionals who desire to possess the foundation business skills required to support and lead today’s organizations. These foundation skills are required by major institutions and organizations as a measure of competency. The CBP Executive credential is for professionals who wish to demonstrate expertise in all five (5) CBP foundation courses including Leadership, Customer Service, Sales, Business Etiquette, and Business Communication. The CBPe is a business executive who has developed a wide cross-section of business skills and can also integrate into a variety of positions within corporations. Candidates are required to pass all five of the foundation-level Certified Business Professional exams to be accredited with the CBP Executive designation. 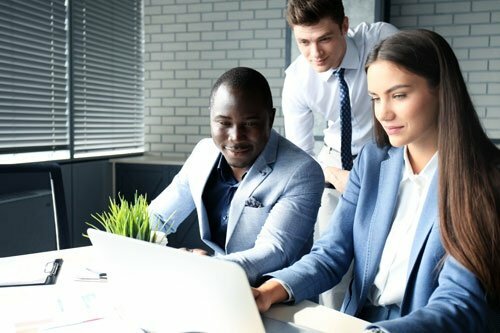 The CBP Master Executive program is for candidates who wish to specialize and gain mastery in specific business skills segments such as Business Management, Marketing, Project Management, and Computer Technology Specialist. The CBPme is a business executive who possesses core business skills and has achieved mastery in a specific business field. Get advanced business training and certification today. With training from the International Business Training Association (IBTA), you gain the extra edge for your business. Enroll in our available business courses, and acquire new knowledge and techniques that apply to your business. Call or email us today to learn more about our services and where you can receive training or get certified. If you would like to partner with IBTA to provide our prestigious CBP Training, you can also contact us at partnership@ibtalearning.com.